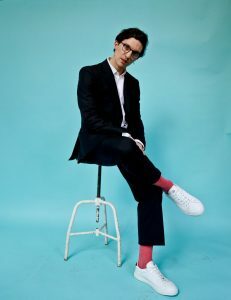 An Interview With Musician DAN CROLL On His Newest Music, Working With Paul McCartney And More! Dan Croll recently premiered his video directed by Greg Barnes (Nathaniel Ratecliff and The Night Sweats, The Beach, Haus) for “Bad Boy” on DIY Mag. 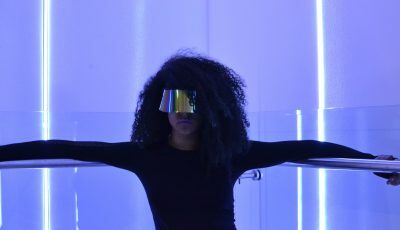 The new single, which is the first American release from his sophomore album Emerging Adulthood, is a pop triumph, delving into Croll’s speckled-diversity as a songwriter, combining twinges of old-fashioned jazz and vintage-rock instrumentations with the purest moments of modern pop structures. All four tracks, which appear on Emerging Adulthood, were produced by Grammy-winning Ben Allen (Animal Collective, Cee-Lo Green, Matt & Kim) in Atlanta’s Milk Money Studios, Emerging Adulthood was released on July 21st via Kobalt Music Group and Communion Records. In support of Emerging Adulthood, Croll will embark on a month-long North American tour, beginning September 7 at Warsaw in New York and wrapping in California on September 24th. Dates in full can be found below. Tickets are on sale now on Dancroll.com. Since releasing Sweet Disarray in 2014, Croll hit #3 on the Billboard Alternative New Artists, gathering 69 million streams on Spotify (including 26 million streams for his breakaway hit “From Nowhere“) and made his television debut playing “From Nowhere” on Jimmy Kimmel. 2016 was crap, 2017 is already much better. I’ve got a new team around me, an album that’s got a release date, and a whole bunch of touring planned so 2017 is already shaping up very nicely! I’m currently sitting in my studio catching up on a lot of work and Tom Petty – “Won’t back down” is playing in the background, it’s providing a very motivating soundtrack. Usually when I’m working, flagging, or in a bad mood I’ll tend to put on some metal to really wake me up and inject some life in to the day, usually its meshuggah sound tracking it. But if I’m riding a steady wave of a day the classics like Tom Petty serve me well. Growing up, did you always want to be a musician? Can you recall your earliest musical memory? How did your very artistic parents influence you and your music passion? Growing up I wanted to be a professional rugby player, but that ended quite abruptly at 17 with a badly broken leg that left me out of the game for a long time and couldn’t really get back to form. My early influences were decided by what my mum was listening to, thankfully she had a great taste in music, a lot of great songwriters like Michael Jackson, Paul McCartney, Barry Gibb, Brian Wilson, etc. I always like to ask artists about where they came from and have that city or town has influenced them as an artist now. So how do you think growing up in Liverpool has shaped who you are as a musician and the kind of music that you create? Well I was actually born and schooled in Stoke-on-Trent, and musically there wasn’t a lot happening there, but my sister loved her music and was in to the British indie scene, I don’t think they really stuck with me that much though. Musically it all exploding for me when I moved to Liverpool, the genres that surrounded me were all so new to me and incredibly exciting. They shaped my music a massive amount. So let’s talk about your experience with Paul McCartney. Firstly, how did you get to be selected to have a 1 on 1 session with him? What was it like for you? Was it in some ways hard to believe that it was really happening? What do you think was the greatest lesson that you learned from that time with him? What advice did Paul give you that you took away from that experience? I was selected by my lecturers, I’m not totally sure why but obviously im incredibly grateful. I’d hardly slept the night before as I was traveling back through the night from a gig, so I was quite delirious when it all happened, on one hand it meant I was very calm and not freaking out at being in a room with Paul McCartney, but on the other hand yeah it was hard to believe it was happening. He was just a super nice chilled out dude, and we just jammed and enjoyed that simple aspect of music, no massive pearls of wisdom just to enjoy it all. You just released “Emerging Adulthood.” What was it like putting this collection together? How did it compare to other releases that you’ve made? The main difference is that with the first album they were a collection of songs that I’d been writing for years, but this new collection is all very ‘fresh’ and written in 6 months, so I think it all feels more relevant and up front to me. How creatively involved were you with the making of your “Bad Boy” music video? I understand that it is your first American release from “Emerging Adulthood” so I am curious to know what you feel about releasing it now? This one not as much, my others I was very involved with but things had just got so busy I handed more of the creative control over to the director Greg. It feels great to release it, it’s always a proud feeling putting out a new single. How do you think you have grown as an artist since your 2014 album, “Sweet Disarray”? What has changed about your process and what has remained the same? I’ve gotten older, matured a bit more, been a bit battered and bruised by the music industry but come out alive. The process is a little different, but mainly just more refined. I’d love to more about your “Dial Dan” campaign? Where did the idea for this hotline come from? It came from spending too much time on social media trying to connect with fans only to look back and feeling like it was time wasted as I felt no more connected to them than when I started. That’s when I thought we could buy a burner, give out the number, and allow fans to call, theres almost a lost art to the phone call, its quite a high pressure thing so you really get to know instantly the people you’re talking to, and I feel you can open up a lot more over a phone conversation. Where are you looking forward to playing at on your upcoming U.S tour? Are there any venues along this tour that you have never played at before? Really excited about being back in New York, especially as I’ve never played Warsaw before and it’ll be my biggest NY show so far! Your songs have been appeared in so many places. Do you still get excited when you hear one? What’s been the most memorable or special place that you heard your music? I heard my track in the hotel we were staying at a few weeks ago, and it was a song that wasn’t one of the main album tracks so it was extra special to hear it and remember that I’d actually written it. Bands like tame impala and the lemon twigs are very inspirational for me, working with either of those would be crazy. I just hope they relate to some of the subjects I write about, especially stuff that’s more directed towards mental health, I hope they can realize they’re not alone and that its all going to be fine at the end of the day. Gig, gig, and then gig. It can be pretty terrifying starting out and gigging, but its just so important, that’s how you build the real loyal fan-base and get heard. 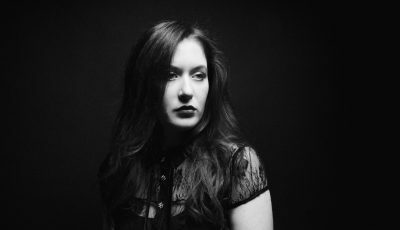 An Interview With The Rising Singer-Songwriter JENA ROSE About Her Recent Summer Tour, Making New Music and More!